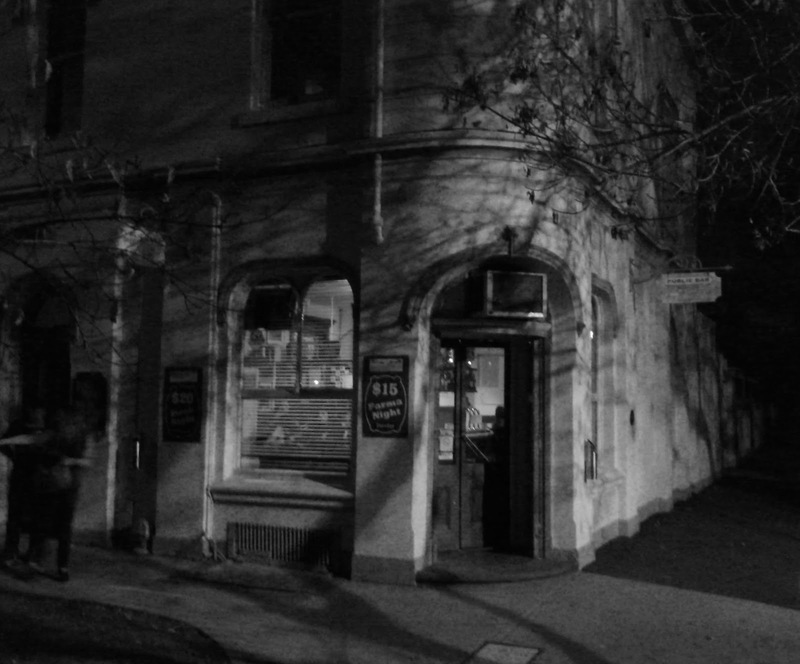 Tucked away on the dimly lit back streets of Williamstown, the Stags Head Hotel only stands out due to its size. 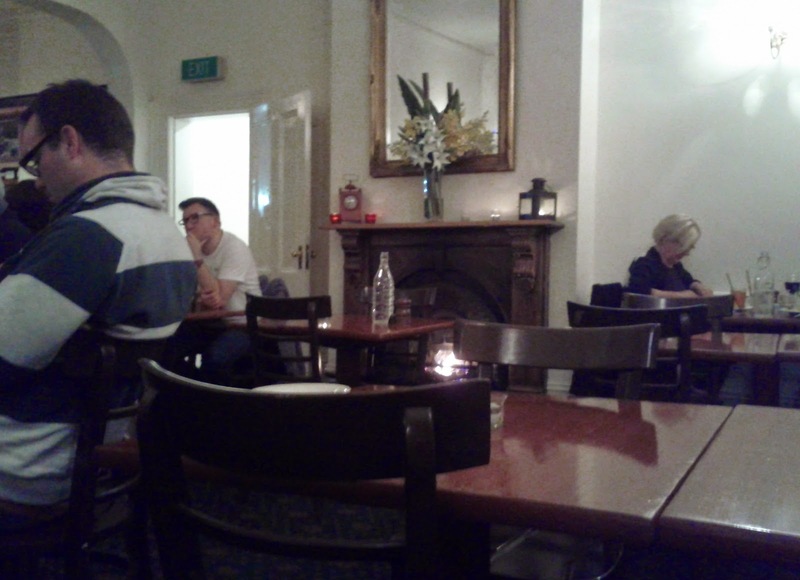 We entered through the door into the front bar, which had a wonderful old school local feel about it. We headed past a small lounge to the restaurant at the back where our friends were already at the table they'd reserved for us all. The room was bright and light with simple white walls and a few adornments and classic wooden tables. We were offered drinks and the menu pretty quickly and took a while to work out what we'd order. We got the waitresses attention and ordered, and despite it being pretty busy, we didn't seem to have to wait long for our food. 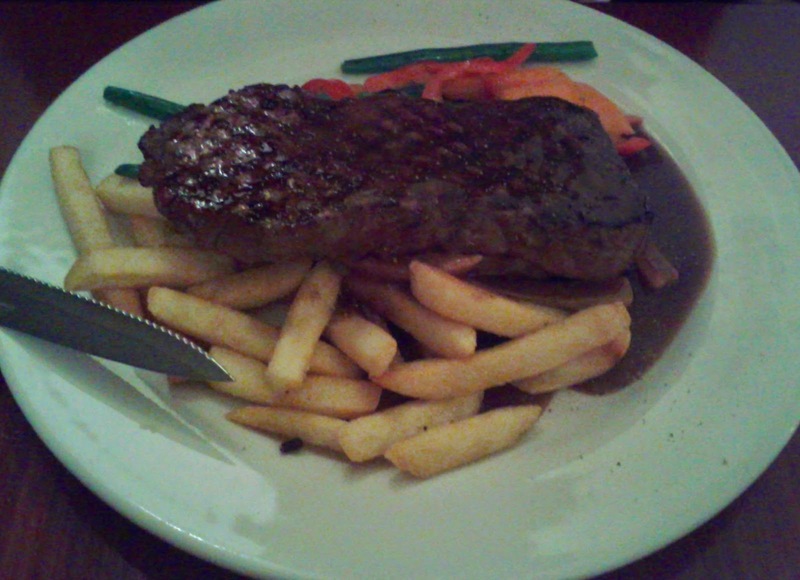 Rick took advantage of steak night, and chose a red wine sauce, which went down well. 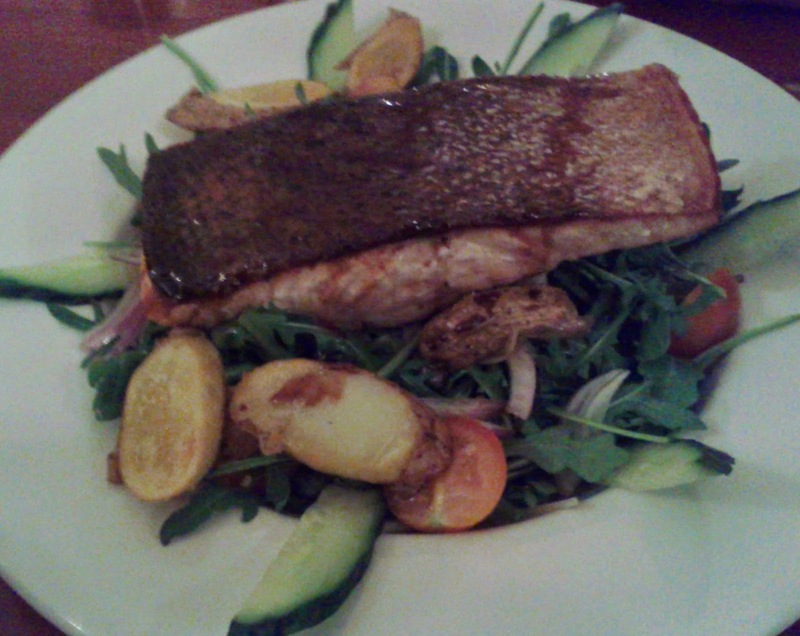 The salmon looked good, and got good reports, although there weren't many potatoes and the salad was a bit too heavy on the rocket, and missing other flavours. 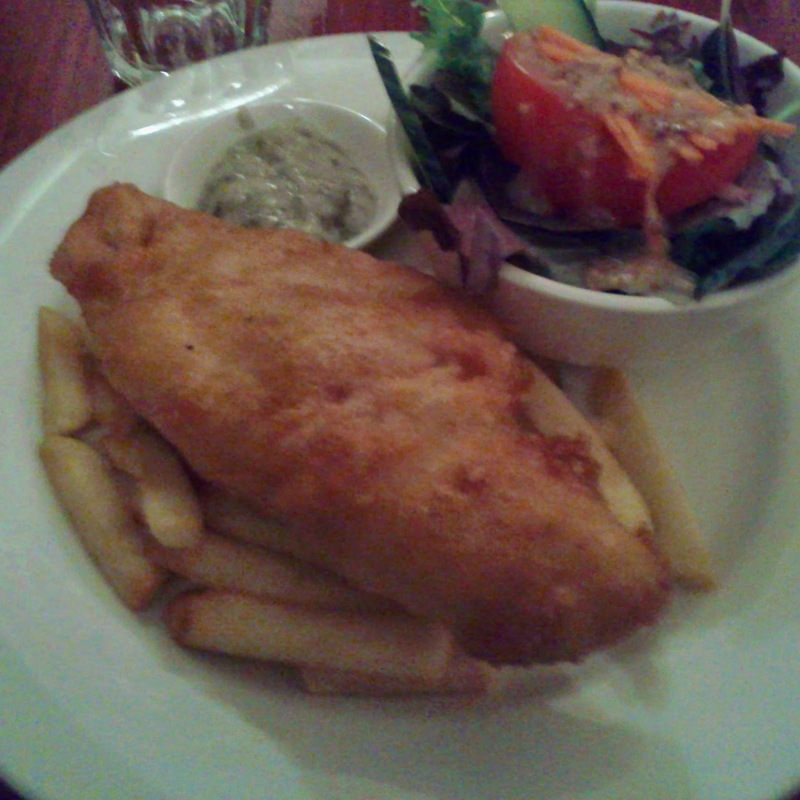 I had the fish and chips, the beer batter was crisp and the content fresh and moist. 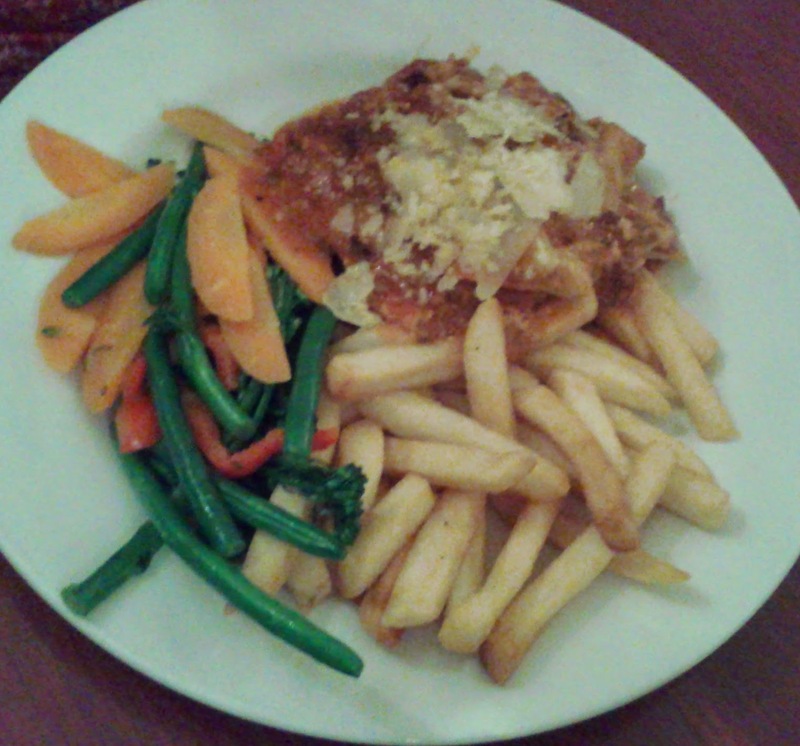 The chips were good and the salad straightforward and wholesome. The Stags Head had the feel of a traditional Aussie suburban pub, offering basic but good food in a relaxed and friendly atmosphere. The bill came in around $30 a head including a drink or two each. I think we'll be back again, next time we fancy some pub food fairly near by.